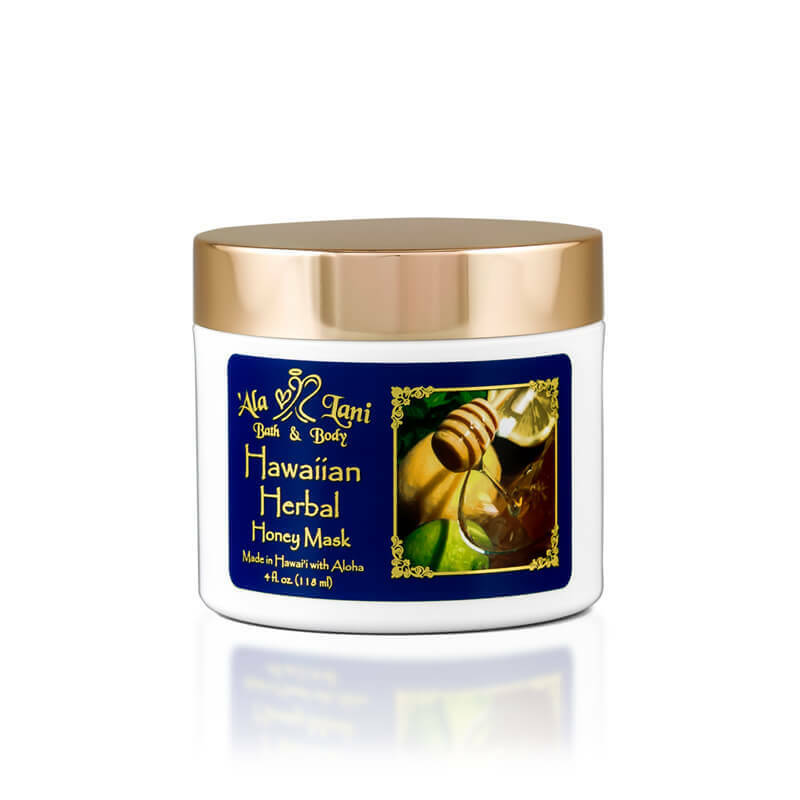 The Hawaiian Herbal Honey Body Mask is sure to be your new favorite product. Pure Hawaiian honey, macadamia nut oil, and coconut oil are added to warm beeswax, and blended into an extremely thick massage cream and body mask. Honey has beneficial healing properties as a skin softener and a humectant to keep moisture on the surface of the skin, leaving it glowing and looking youthful. This rich and creamy body mask can be applied in the shower and rinsed off, or can be used while in your bathtub. The citrus essential oil synergy will uplift and revive your senses.